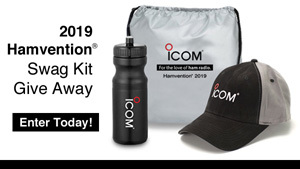 Win an Icom Hamvention® Swag Kit! George and Tommy, from Amateur Logic review the IC-7610 with Ray Novak. Icom America and Boy Scouts of America have forged long-standing relationship.